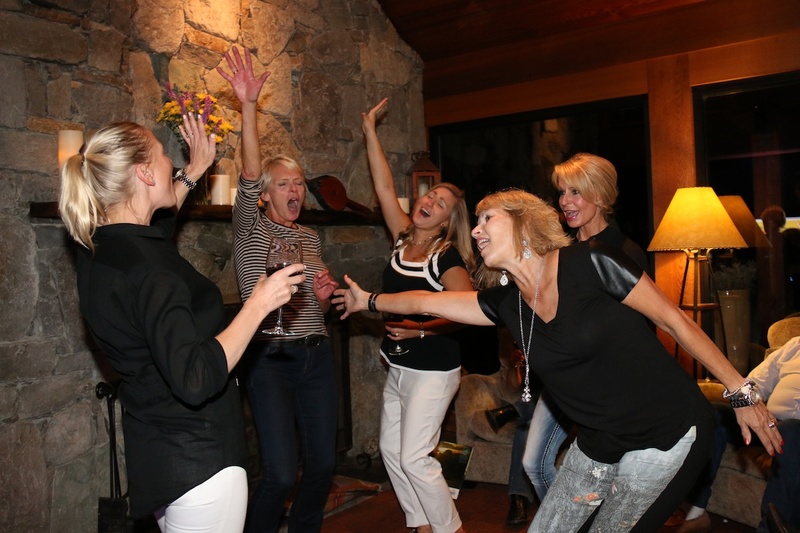 End Of Season Party 2015 ~ Rock & Roll The Season Away! I think I was in grade four on that day in early September when my buddy and I ignored the bell that signaled the end of the afternoon recess period. After all the other kids had dutifully filed back into the school, we just kept shooting marbles. It might have been a symptom of the authority defiance that characterized both of us in later years, but I also think it was simply a couple of kids hanging on for a teensy more bit of summer. It all came to an end when the principal, Mr. Pettibone (pronounced Petty Bone), strode purposefully in our direction. But it was a smug kind of fun while it lasted. I had forgotten that day for many years, in fact up until last Tuesday – the day after Labour Day – when my best friend and I ignored the end-of-summer adult ritual of returning to work. Metaphorically speaking, we just kept shooting marbles. Or rather, we just kept trolling for Salmon on the mystical waters of Haida Gwaii. Just a couple of fully-grown adults hanging on for just a teensy more bit of summer, and having the smug kind of fun that goes along with it. 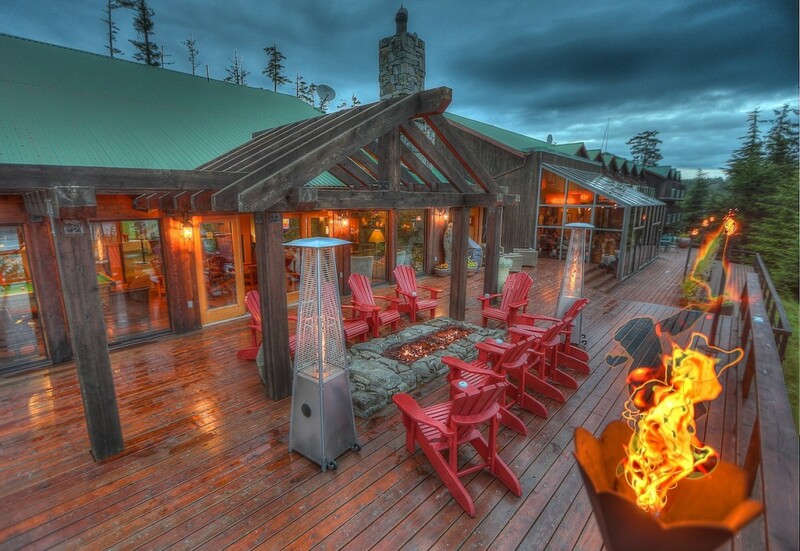 * The Clubhouse, in all it’s glory, ready to host it’s final group of guests. I highly recommend it friends. In fact, I would like to see it become a national movement on both sides of the Canada-US border. To that end, I urge all West Coast Fishing Club members to evangelically throw their hands in the air come next Labour Day weekend and shout: “We are leaders and not sheep! We will keep our lines down and our tips up! And our spirits will surely soar!! !” Or revolutionary words to that effect. * Among the guests in attendance for the End Of Season Party were the bachelorette Kaitlyn Bristowe and her fiancee Shawn Booth who instantly fell in love with The Clubhouse. If it sounds like I’ve lost my marbles, then consider this: There were, and presumably still are, plenty of Chinook and Coho Salmon cruising along the east side this week; there were more leviathans (Orca and Humpback whales) than I have ever before seen around our island, and the weather was still much, much closer to that of mid-summer than that of blustery frigid autumn. But there was more. 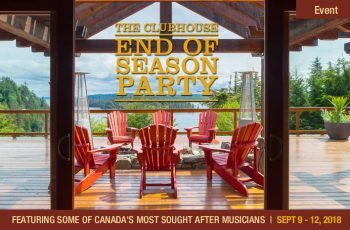 There was The Dock Rockers, a new house band for The Clubhouse comprised of veterans of Canada’s A-list roster of musicians who have played, sung and recorded with a ridiculous number of big names, from Cher to Alice Cooper and from Bryan Adams to Shania Twain. From the very first tune they played (I think it was the Bee Gees “To Love Somebody”) during the cocktail hour on day one of the season-ending Langara Rocks trip, eyes were wide open and big smiles were on the faces of every single guest, the kind of looks typically accompanied by utterances of…”wow!” And for the next three days the lower lounge of The Clubhouse was transformed into the world’s coziest nightclub, graced by the presence of plenty of wonderful women anglers who danced the night away in the inimitable fashion that ladies do. It was an incredible trip friends. Trust The West Coast Fishing Club to come up with yet another way – hip-shaking live music – to create a marine wilderness adventure far beyond even the wildest imaginations. * Langara Rocks End Of Season Party concert poster. 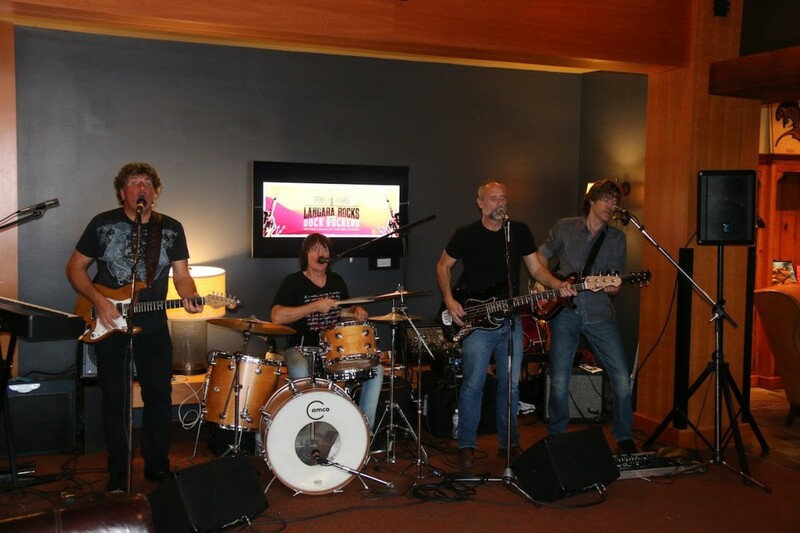 * The Dock Rockers – Mick Dalla-Vee, Marc Lafrance, David Reimer and Ian Cameron – bringing the house down. 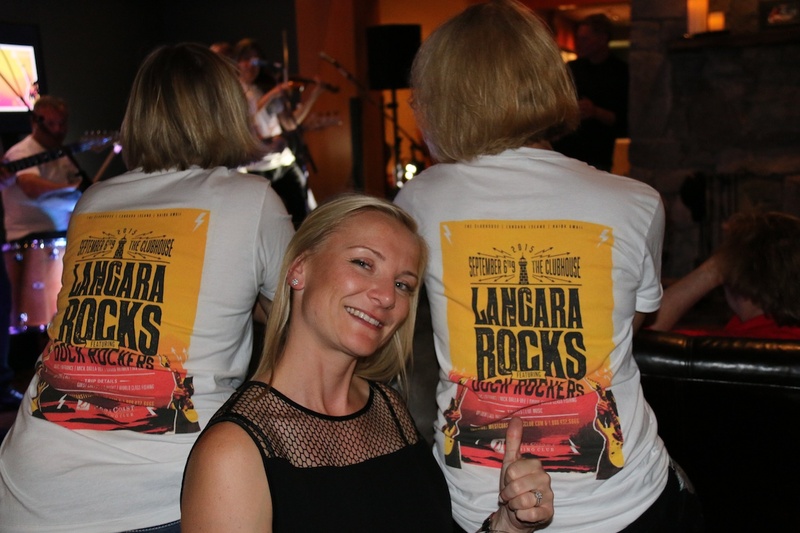 * Langara Rocks t-shirts approved by Jessie Daniels. Food and drink? Uh, yes. 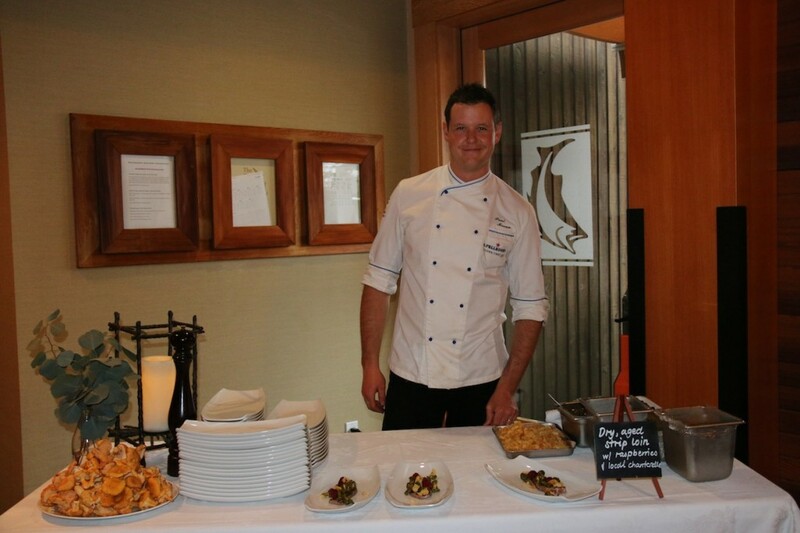 The Clubhouse kitchen master Shaun Snelling anchored the culinary proceedings on the first night in the way he did all season long – congratulations to you and your team Shaun for completing a 102-day gastronomic marathon. You too are rock stars. Although Hawksworth Restaurant’s Chef de Cuisine, Kristian Eligh, was forced to call in last-minute with regrets, David Hawksworth himself stood in on the buffet night to create a profusion of gastronomic artistry, accompanied by new and old-world wines to complement each meticulously crafted item. Ditto on night three when The Outpost’s Paul Moran and Stephanie Noel were featured chefs for the food-station dinner, during which guests leisurely toured the lodge to sample the kind of fare that have made the still-not-yet-thirty-year-old husband and wife team some of the brightest stars in the culinary universe. * Paul Moran holding down the dry, aged strip loin station that was cooked to perfection on the Yoder Smoker. 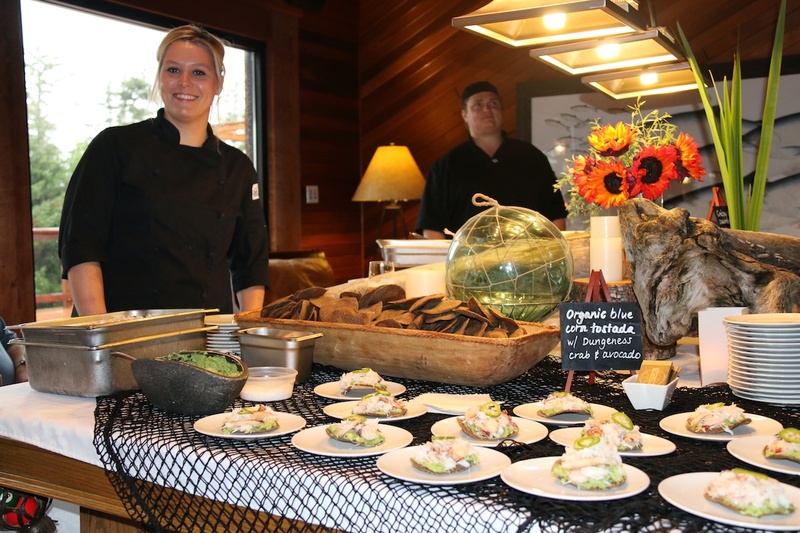 * Stephanie Noel serving up some delicious Dungeness Crab with avocado on organic blue corn tostados. 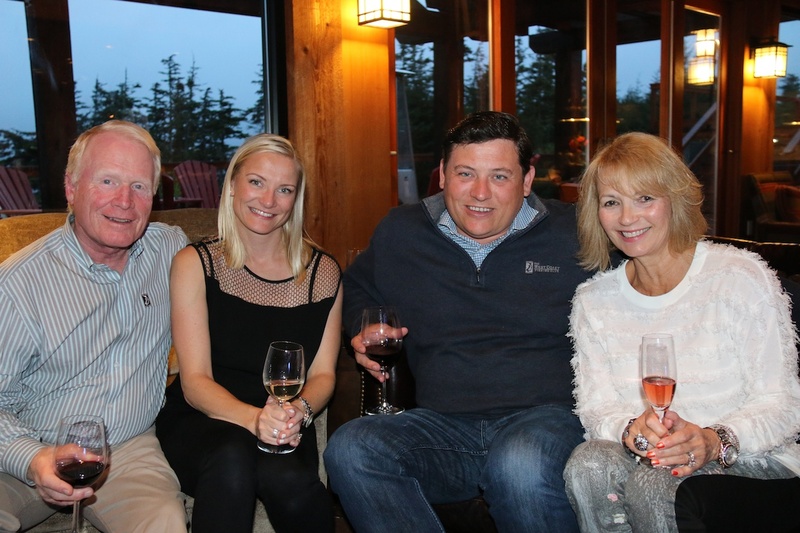 All in all, it was a grand finale to a vintage season of fishing and fun, one that saw some 2200 guests experience a West Coast Fishing Club adventure at one of the three lodges, and take home a few of Mother Nature’s tasty treasures. 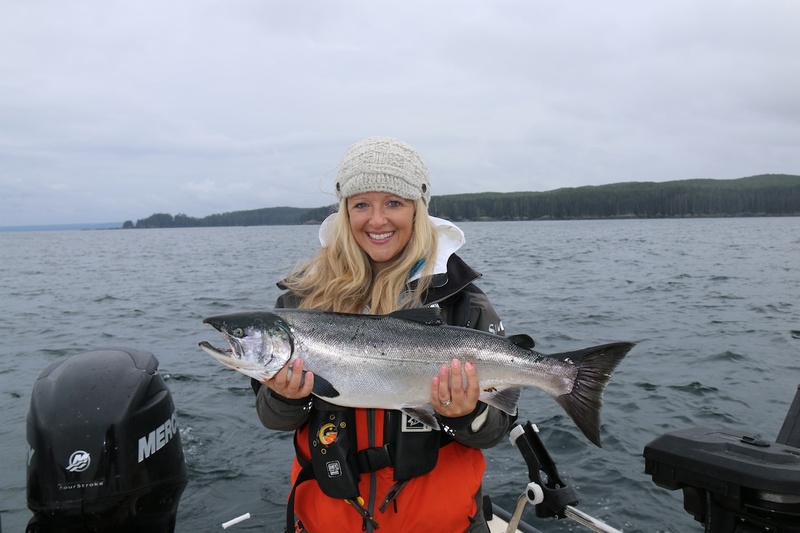 * Kristie Nyrose with a nice Coho. 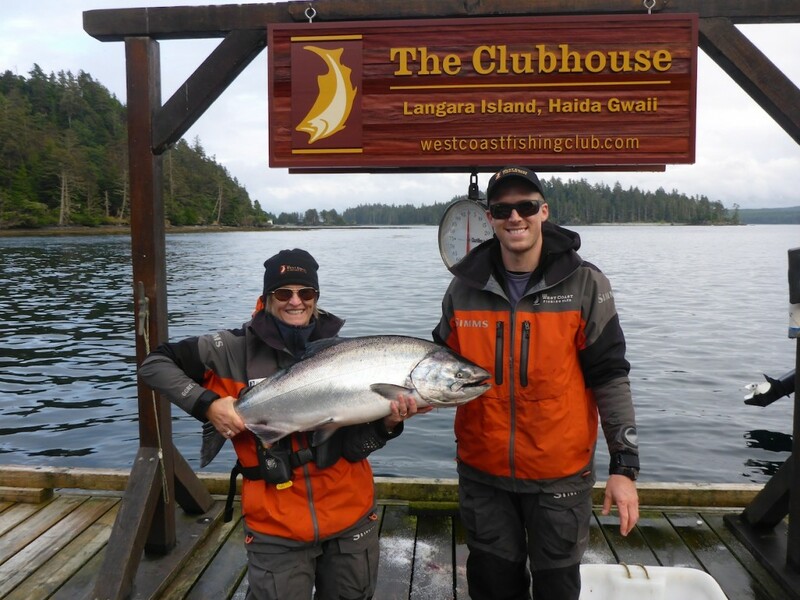 * Kate Dale with son Chris and a 27.5lb Chinook caught on her first trip to The Clubhouse. Here’s an interesting footnote. 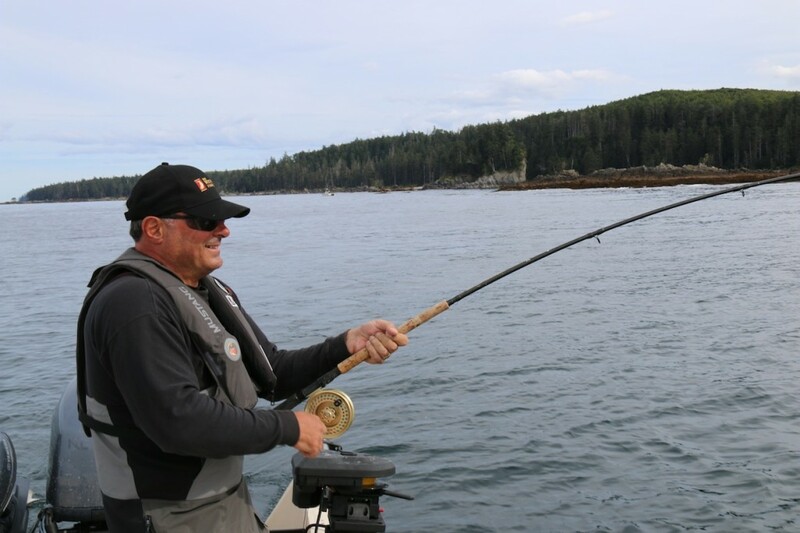 The first Tyee of the season for The West Coast Fishing Club was caught June 4 by North Island Lodge guest, Ken Gardiner. And the last one of the year was taken on that magical day after Labour Day by yours truly. It was my first Tyee ever and barely so at just 30 pounds, but a magnificent fish after a memorable 20-minute contest. I also grabbed a 23 the day before in an abbreviated fight that ended when I reefed the fish hard into the net in a move that risked breaking the line. 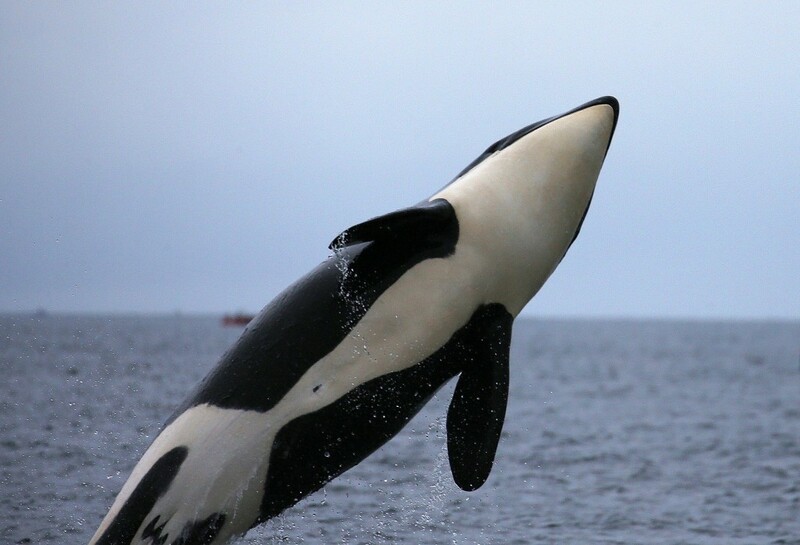 But it was either that or lose it to an Orca that was streaking towards our stern. The whale was, at most, 15 feet away when our guide Cliff sealed the deal by submerging the net exactly where I needed it to be. For the next few seconds four Orcas swam around and under our boat, seemingly exasperated by us taking what was rightfully theirs. * My wife captured this great shot of me fighting one of the many fish caught on this trip. They then moved on and did the same thing to Marc LaFrance and Mick Dalla-Vee of the Dock Rockers, actually leaving some tooth marks an a pair of Cohos just a nanosecond before gentleman guide Hans scooped them up. Close encounters of the exhilarating kind. Marc and Mick no doubt related that experience to other band members at the show they played a couple of nights later with Randy Bachman in Regina. And now, here’s the final list of notable catches for 2015: Monique Craigen (30), Shane Terrico (32), Ron Pulchinski (32.5), David Easter (30), Keith Solinsky (30.5), DiAnne McDonald (31) and Jeff Chadwick (34). And so ended another season of fishing for members of The West Coast Fishing Club. 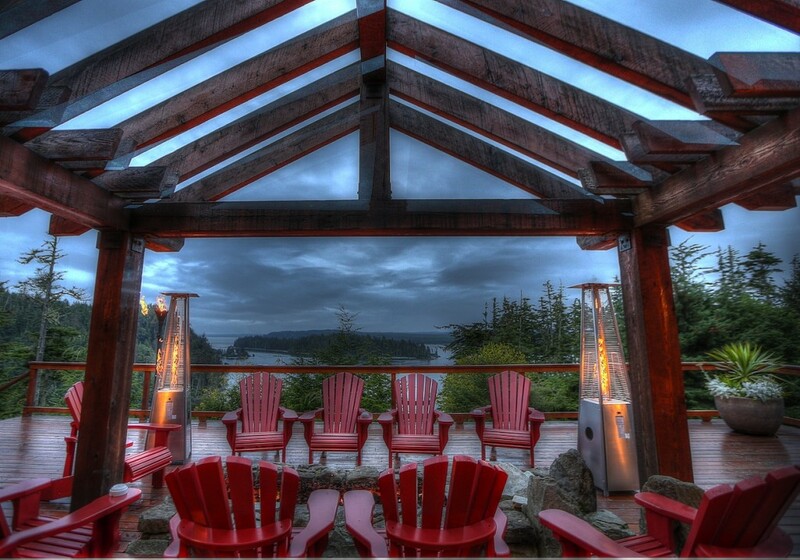 I was privileged to experience it first-hand during the first weeks of June at both North Island Lodge and The Outpost, and also during this week’s musical odyssey at The Clubhouse. I’m not going to even try to find an adjective to describe what kind of a season it was; these things have to be seen, heard, felt, inhaled, tasted and sipped to be believed. So I’ll leave it at that. * Brian Legge, Jessie Daniels, Brian Grange and Dyane Legge enjoying the festivities. 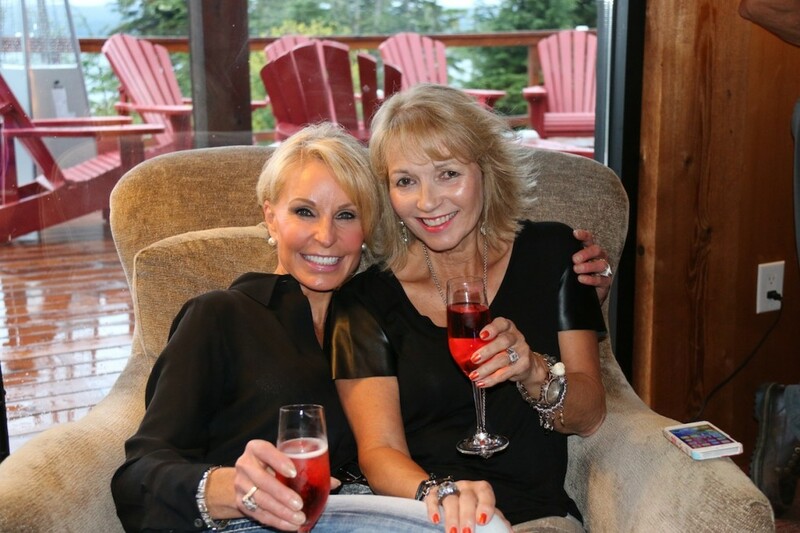 * Diane Rupert and Dyane Legge take a break from the dance floor. 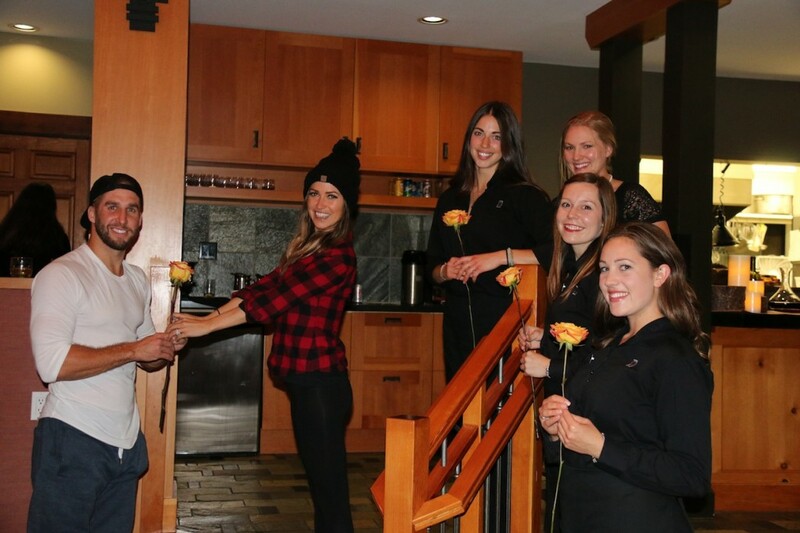 * Some of The Clubhouse staff have a rose ceremony of their own with Kaitlyn and Shawn. I have also been privileged to write these weekly salvos for like-minded people who have an abiding curiosity about the fun and wonders of Haida Gwaii. The last lines must therefore go out to the people without whom it wouldn’t have been possible. Thank you to Sarah Meli from The Clubhouse gift shop for recording and sending down the names of every angler who boated a Tyee during these last 15 weeks. Thanks also to Screamer, whose expert observations, photographs and always-amusing prose gave me a keen sense of what guests were experiencing around Langara Island (you really do need to write that book Scream – seriously). Thanks also to Jordan Knight, lodge manager at The Outpost, for keeping me updated with news from Port Louis. The same goes to Todd McIntyre from North Island Lodge, who in spite of wearing the dozen or so hats that every lodge manager does, contributed pictures and information when he was able. 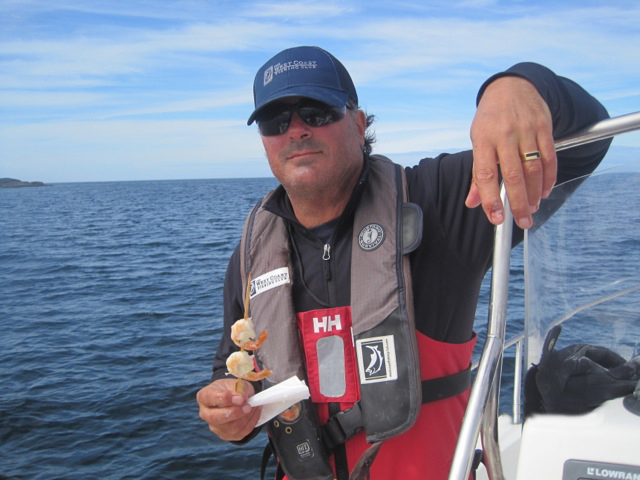 Thanks to Derek Nyrose of the West Coast Fishing Club for additional insights on special events, for championing the Langara Rocks trip and for a fun couple of days of fishing prior to it. Thanks to my editor Chris Dale, who provided insight and quality feedback that every neurotic writer needs, and who also gathered a couple hundred photos, designed numerous pages, and then hit send. 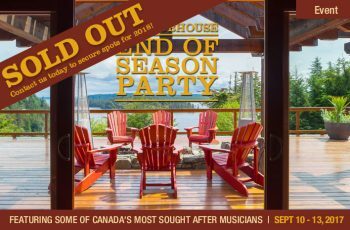 Finally, thanks to the many, many wonderful people who shared their time and laughter with me personally this summer at North Island Lodge, The Outpost and The Clubhouse. I look forward to returning with you in 2016 to the impossibly beautiful marine wilderness of Haida Gwaii. In the meantime friends, be safe and well. And always, always, always…keep a tight line! * With another year in the books, we leave pristine Haida Gwaii to start preparing for 2016 and another season of creating memories the guests will never forget.